A Mouthful of Metals – Why Metals are not Meant for the Mouth. Alloys should rank as one of mankind’s greatest inventions. The use of alloys in our world today is ubiquitous: from smartphones to kitchenware to cars and body-frame of airplanes. An alloy is a mixture of two or more metals (and sometimes other elements) which are chemically bonded together but still retain some characteristics of the original metal. In its pure form, most metals suffer from distinct disadvantages such as softness, brittleness or proneness to rust. This problem can be solved by combining individual metals, each giving a unique characteristic such as strength, corrosion resistance and other mechanical properties. Different combinations and different proportions yield a different end-result alloy, which can be utilized in different industries. The mouth is no stranger to metal alloys: amalgam (silver fillings) are made of an alloy of mercury; metal or porcelain-fused-to-metal crowns are made of an alloy of gold or nickel-chromium; and titanium implants are made of titanium alloys. For the longest time, metals were the gold standard in dental treatment as it offered a combination of strength and the ability to withstand the harsh oral environment. This view is now changing and holistic dentists offer to raise the bar in terms of gold standards in dental treatment. We start our journey at amalgam fillings – something ubiquitous in the population. Modern dental amalgam has its roots in 19th century Paris. Previously, gold and tin were preferred as restoration materials, but these metals became too expensive and economically unviable. A new material was needed: combining strength with cost-effectiveness. At that time, Louis Nicolas Regnart combined one-tenth by weight of mercury with other forms of metal to create an alloy that was soft enough to be handled at room temperature, but hardened over time in the mouth. Traditional use of amalgam usually involved dentists mixing mercury and other metals together with their fingers, pressing the mixture to combine it to form a paste which can then be used to fill any hole in the teeth. Modern amalgams though have gone through an evolution to improve their strength and handling – nowadays, it comes in a capsule with a special “triturating” machine to mix it. Modern amalgams also contain up to 50% by weight of mercury. 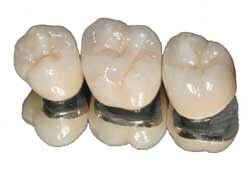 Up until the past decade, amalgams were the most viable choice to fill a tooth. It has the necessary strength to withstand chewing forces, dentists were able to handle it in a moist environment and it lasted a long time in the mouth. Many dentists know and accept the fact that the price to pay to fill a tooth was a “small” amount of mercury being released from filling itself. We examine tomorrow why mercury exposure is never good, no matter the amount.